There’re a few things you should know about the Razer Naga Hex V2. For one, it has a somewhat boring appearance. 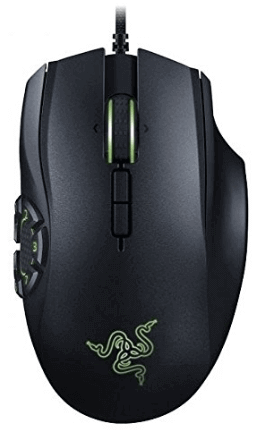 There’s no other way to put it, but maybe that’s because this mouse is designed for MOBA (Multiplayer Online Battle Arena) players. And to anyone who doesn’t dabble in the MOBA world, this mouse won’t be appealing. 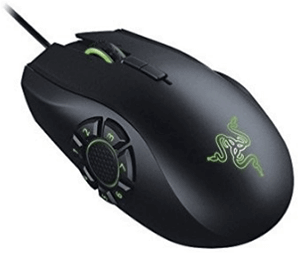 But continue on if you’re in the market for a new gaming mouse that does what it needs to plus more in MOBA games. I tested this mouse out for 2.5 hours on a Saturday afternoon in a couple of DOTA games. I soon discovered the joys of using the mouse during MOBA gameplay. This mouse has yet to beat for reliability, customization, comfort, and speed. The Naga Hex V2 has a seven button mechanical thumbwheel, which makes MOBA gaming easier and more fun than ever. If you haven’t gotten the chance to try a seven button mechanical thumbwheel out, then you must. There also wasn’t any instance of misclicks while I used the thumb wheel. This was a nice touch that is a result of high-quality design. In the middle of the thumb wheel, there is a rubber thumb grip, which is a nice feature for the fast movements in MOBA. The shape of the mouse is fantastic for a palm grip, it reminds me of the Logitech G700s without it feels to ergonomically. We need to also talk about the laser. The Naga sports a 16,000 DPI 5G laser sensor. That’s pretty ridiculous if you ask me, but who wouldn’t want such a huge DPI range if they could have it? Most MOBA players are looking for a gaming mouse with plenty of room to grow and the Naga doesn’t fail to deliver. The 5G laser is one of the fastest I’ve used in my gaming years. It’s accuracy, speed, and reliability are like none other in its price range. You can tell an immediate difference between the Naga and your previous, cheaper mouse. This gaming mouse also has a ridiculous 1,000 Hz Ultrapolling time for a 1ms response time. In other words, it’s one extremely fast mouse. What’s also nice is that you can configure a wide variety of custom profiles such as key commands. This can make gaming easier and more efficient, and it also puts you in control. So what’s powering the Naga Hex V2’s extreme customization? Two words: Razer Synapse. This means that you can store an infinite amount of unique individual profiles in the cloud, or rather, the Razer Synapse. You can program macros, track your stats, and heat maps as well as program your Razer Chroma effects. But what about the lights? 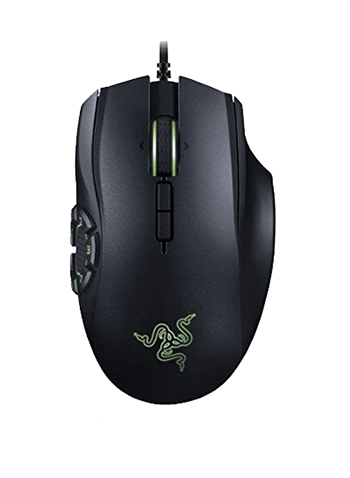 The mouse’s lighting system is powered by Razer Chroma. The mouse uses a spectrum cycle to run through 16.8 million color combinations. There are three other settings and these include, reactive, breathing, spectrum cycling and static. When I picked up this mouse it was moderate in weight. This made it easier to transport, but also heavy enough to feel like a legitimate piece of equipment. All said and done, I had some troubles with the mouse’s design. First, it’s flat-out boring. There’s nothing appealing or interesting about this mouse’s colors, shape, or patterns. That said, I don’t think this is the first thing that I look for in a good gaming mouse. But it sure does make me want to use it more if I’m in love with it. For most gamers, the performance will outweigh the mouse design. What you need to know is that the Naga Hex V2 is a high performing gaming mouse for MOBA players. If you’re not into MOBA platforms then you may want to stay away from this mouse’s extensive customization options and 1600 DPI. Another thing I noticed as I was testing out this mouse, is its comfortable design. In fact, the mouse was so comfortable I forgot I was holding it at several points. That’s not the only easy thing about the Naga Hex V2. Razer made it so easy to install the software that your 90-year-old grandparent could do it in less than five minutes. In fact, all you have to do is download Razer Synpase online and you’re ready to go! Razer has skipped CD-ROM installation software for the mouse and you should too. If you’re contemplating a new gaming mouse, then the Naga Hex V2 can’t disappoint. That’s just the truth of the matter. It’s true that you love accuracy, speed, and comfort. And that’s something all gamers want in their mouse. I promise it. But it’s not true that you need to spend as much money as everyone else just to get those features. 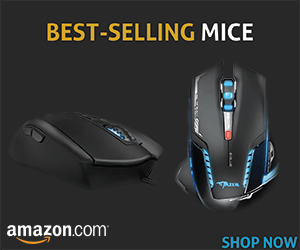 That’s where the mouse falls short, and where you may want to consider purchasing another mouse if you fall into this category. What do we always say? A good mouse is cheap and has some nice features. A great mouse is affordable and has all the features you need to get better. The two buttons behind the scroll wheel are very difficult to use quickly.